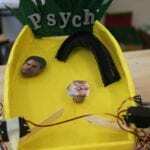 Use physics to create pinball machines! 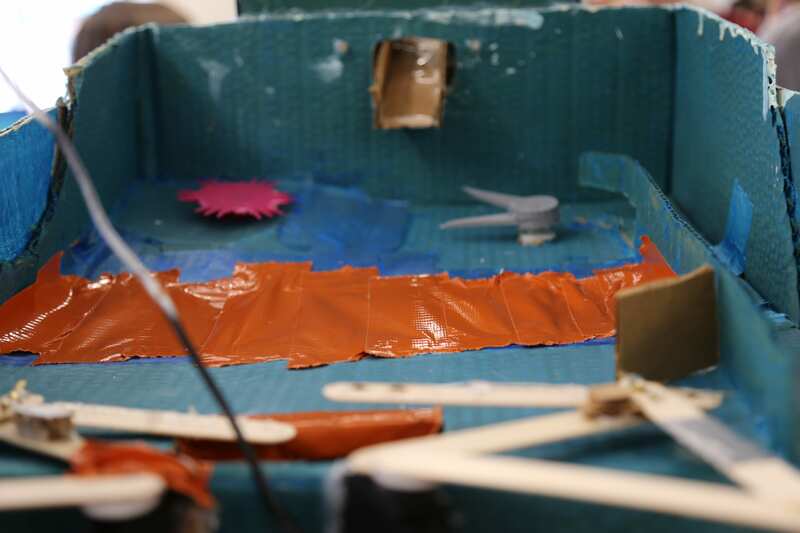 Students will create a pinball machine with a clear, engaging theme. Students will incorporate at least 3 simple or compound machines to apply Newton’s laws of motion. 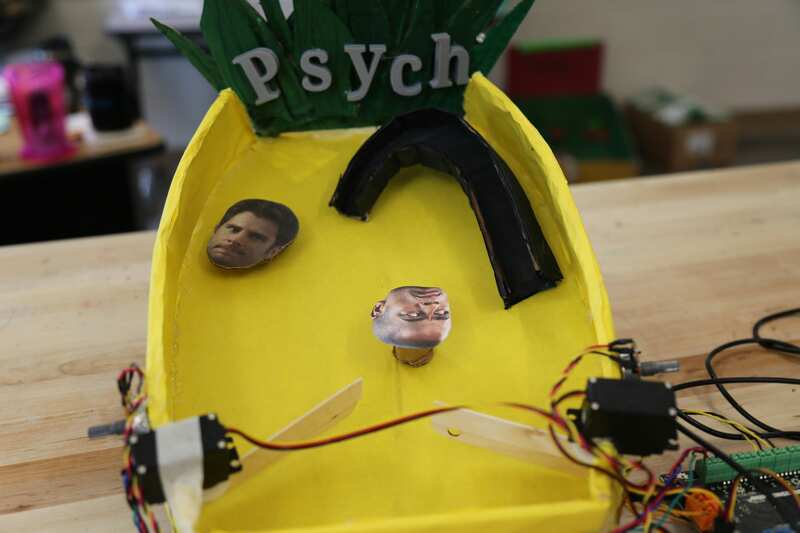 Students will defend their design decisions based on their knowledge of simple/compound machines and Newton’s laws of motion. MS-PS2-1. Apply Newton’s Third Law to design a solution to a problem involving the motion of two colliding objects. MS-PS3-2. Develop a model to describe that when the arrangement of objects interacting at a distance changes, different amounts of potential energy are stored in the system. MS-PS3-5. Construct, use, and present arguments to support the claim that when the kinetic energy of an object changes, energy is transferred to or from the object. 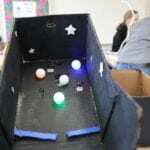 The eighth graders of Vickery Creek Middle School demonstrate their knowledge of physics by creating pinball machines! They learn about simple and complex machines in physical science, and then they apply this knowledge in their STEAM elective. 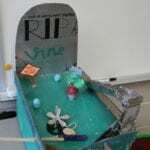 This project starts with an introduction to how pinball illustrates Newton’s Laws of Motion. Roanoke Pinball Museum: Key Concepts is a helpful resource. Discovery: How It’s Made: Pinball Machine shows the construction of an actual pinball machine. 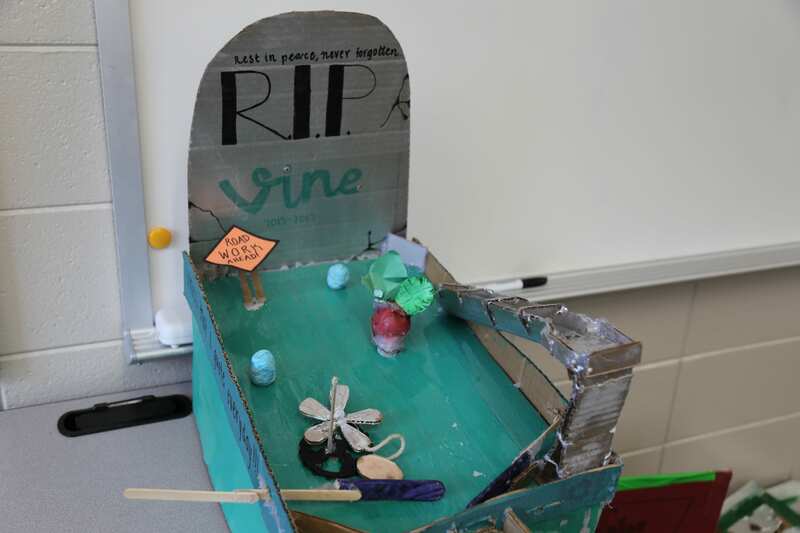 Next, students are challenged to build a pinball machine with the Hummingbird. The game must have a clear, engaging theme and incorporate at least 3 simple or compound machines to apply Newton’s laws of motion. Students can use the attached planning document to design their machine. 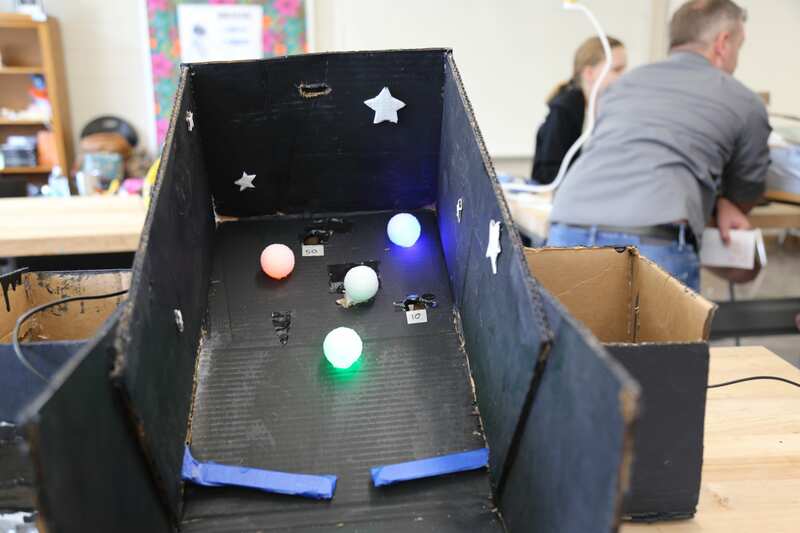 As students build their game, the DIY Cardboard Pinball Machine video may be helpful. In addition, this video shows how to use the Hummingbird servo to construct a basic flipper that uses a linkage. Students can experiment with modifying this linkage to get the movement that they want for their game. When students complete their games, invite the school community to come play! Differentiation: Students ready for an additional challenge can add sound effects and score keeping through Scratch or Snap!. Assessment: The rubric found in teacher materials can be used to evaluate projects. Register to receive access to teacher materials.